Process or project? What differences? What goals? People often confuse projects with processes. Some might argue that this is only a question of semantics and that saying “project” rather than “process” does not change much. In fact, there are some areas where projects and processes can overlap (which is why confusion arises), but there is also an essential difference that impacts the way in which the activities are managed in one case or the other. Projects concern actions never done before, while processes are actions that are done repeatedly. A project is about creating something new or implementing a change. On the other hand, a process is designed to create value by repeatedly executing an activity. In a project, the goals and plans can be modified by the stakeholders. The processes, on the other hand, are established procedures for work and can be generally modified only with planning and investments. In fact, a project is ideally needed to change an established process within an organization. A project is temporary because it has a defined beginning and end date, and therefore defined scope and resources. Moreover, a project is unique in that it is not a routine operation, but a specific set of operations designed to achieve a singular goal. Projects are designed to create changes. On the other hand, processes are designed to resist change because they establish a repeatable and executable workflow. Both processes and projects aim to achieve something through a sequence of planned activities. In general, they both need teams and resources that can execute them. Moreover, they can coexist, as in the case where people work on processes and have a project going on. It should be underlined that between projects and processes there is a significant difference: the frequency with which the activity is repeated. The projects are in fact one-off, even if there are cases in which the projects become repeatable. In this situation, if the project becomes repetitive, it becomes a process. The processes are in fact repeatable and create value by producing a given output on demand. The fact that the activities are repeated means that it is possible to efficiently cushion the planning effort thanks to the many repetitions. Instead, in the case of an already planned project, the effort must be repaid by the outcome of the single time it is performed. When dealing with a project, much of the effort goes into the initial planning. After this step, the effort is focused on checking that everything is following the plan. The process works differently. In fact, you can review the result from a process and learn from it, you can make changes to the process and you can experiment and see what works and what does not. The “management effort” is less focused on keeping things on track and is rather oriented to learn how to optimize the process. So this is the big difference regarding the “management effort” in projects and processes. In addition to this, projects and processes are supervised differently, making most of the tools incompatible for managing both of them. Projects are supervised by a primary authority, usually a project manager, who guides the project towards its goal. The processes are instead managed by all the people involved in the workflow in progress. In other words, they are everyday actions that are formalized with the goal of improving overall efficiency and productivity. Project management is a consolidated methodology for managing and executing changes within an organization. It is interesting to see that the project management itself is a defined and repeatable process. Ultimately, all the work involves a process and the project management functions in the same manner. The correct management of the project proceeds according to well defined principles and procedures that allow to manage organizational changes and new initiatives. It is simply a very specific and carefully designed process that is repeated and performed every time the company makes a major change and is doing something new for the first time. The process of implementing these changes is called project management and each change must be managed as a project. All of what has been said so far shows that there are several reasons for extending project management with processes; often projects or processes are presented as alternatives for the organizational needs of the team. With Twproject you can get benefits from both, in an integrated solution. Surely it has happened over time to repeat some of the company’s projects and to standardize them and transform them into “business processes”. Well, in our software you can find the solution to this situation …. And many others! In TwProject, the integrated tool for managing business processes greatly expands the possibility of modeling in relation to the project tree. It improves usability even for complex cases, keeping the organization based on the project. using business process models, which are workflows. Workflows are more rigid but more accurate. They are more complex to plan but often easier for the end user, who has just to say “go ahead” on their tasks when this is the case. In conclusion, we can say that there is no difference in importance between a project and a process. In fact, everyone plays an important role in achieving goals within an organization and it is necessary to make sure that they are both used appropriately. Processes are continuous and repeated procedures that help to achieve business goals, while projects are ways to change processes, launch new products, or otherwise make changes within the organization in order to develop the goals in new ways. Did you already know the difference between a project and a process? Are there any further differences that you consider relevant? Give us your opinion. Projects and processes in an integrated solution. Agile and Lean are two popular methods in the project management world that help teams deliver faster, more sustainable results. However, the differences and similarities between these two methodologies are often not clear. Even the terms themselves are often used in the wrong manner, as synonyms to describe a particular set of practices. For a project manager, it is important to understand the differences and similarities between Lean and Agile methodology in order to guarantee the correct application and to obtain an effective and efficient organization. “Lean” generally refers to a set of knowledge called more specifically “Lean Manufacturing“, developed in Japan in the ’50s and’ 60s by an engineer named Taiichi Ohno. Rather than executing predefined tasks over and over again, workers must continually improve their way of working (the so-called “Kaizen”). These ideas, at that time, seemed to be heretical in the eyes of the American and Western industry, but the Japanese industrial organizations that adopted these philosophies quickly outperformed their “colleagues”. In short, the Lean methodology says to implacably eliminate all that does not add value. Eliminating waste means eliminating unnecessary meetings, tasks and documentation, but also means eliminating inefficient methods of working, such as multitasking. The Lean methodology also places a very strong emphasis on what is called “the system”, i.e. the way the team works as a whole. Work should always be seen from a higher level in order to ensure that the process are really optimized. This methodology says to respect the fact that the people who do the job are those who know how to do it at the best. Once they receive what they need to be effective, they must be left “alone” and trusted. Agile refers to a set of values and principles set out in the Agile Manifesto. The Agile methodology is very similar to the Lean methodology and for this reason you will see many similar points between these two. The Agile methodology, in general, is more based on development rather than production. There are some clear similarities between the Agile and the Lean methodology. The Lean methodology expects the construction of objects / products in the least possible number of lots. According to the concept that it is more efficient this way. The Agile methodology provides many small frequent versions of a product, rather than a large production. The Lean methodology also says that every process should be continuously inspected and adapted in order to improve it. This method is therefore very focused on continuous improvement, the so-called Kaizen. The Agile methodology also provides for regular checks of the results and of the working method in order to evaluate possible improvements. Another similarity between Lean and Agile is the focus on cooperation between employees. In both methodologies, the people – the workers – who perform the tasks are more important than the tools they use. When it comes to Agile and Lean, nothing is more important than the final result. This result must create value for the customer and is the only goal of the development process. The Agile methodology allows the client to constantly adapt his needs, while the Lean provides for the manufacture of the product in such a way that there is no waste. In any case, the customer must get exactly what he expects. The main difference is that the Agile methodology concerns the optimization of a development process, while the Lean method concerns the optimization of a production process. In production we generally have a predefined product and we want to produce as many high quality products as possible, in the most economic way possible. In production, variation and rework are negative and expensive, while in a development process they are good and optimal. Indeed, in the development process the factors are continuously reviewed and are changed according to new information or feedback. It is no coincidence that Lean Management was born in the industrial sector with the intention of making production systems more efficient, while the Agile methodology was born in the creative and software development environment. In the first it is important that processes work in such a way that no waste occurs. This ultimately translates into a final product that is produced as efficiently as possible. In the second situation, instead, the development of prototypes is foreseen, which are first tested and evaluated in order to then develop the final product. But the differences between Lean and Agile are not over. The Lean methodology is often applied to improve processes in all organizations. On the other hand, the Agile methodology is applied within a team, often composed of no more than a dozen people. It is difficult to say which methodology is better. This is something that people must understand for themselves and also depends on the organization and the type of project that must be developed. Both methods are strictly interconnected, everything revolves around the focus on customers and giving them the product they want in the most efficient way possible. Each method has its strengths and weaknesses and it is necessary to know the characteristics of both in order to be able to evaluate them. Bring this complexity to something simple, light, quickly manageable and upgradeable by the individual user. beyond the ideas that surround the “agile” management and the “getting things done” revolve around this process. And what methodology do you use? Why did you choose it and what are the advantages for you? Tell us about your experience. Improve your project management method. The Critical Path Method (CPM) is an algorithm used to plan a set of project activities, its purpose is to highlight the steps involved in the longest path that determines the project end date. The critical path analysis allows you to highlight what activities are “critical” but also those that can be delayed without increasing the project lifespan. If you have never used this methodology, let’s try to apply it to a simple example: imagine we have to install a shelf in the house. This type of activity can be easily planned using the Gantt diagrams that also shows the critical path calculation in red. The chart shows the sequential activities, they are in orange because suspended waiting for predecessor completion. All these sequential activities are the fundamental steps that determine the length of your project. The critical path of the projects is the longest sequence of activities. It is essential to pay close attention to phases on the critical path to manage the timing of your Gantt. For example, if you have a task that lasts 100 days, a 5-day delay on one of the sequential activities will result in a total delay of 5 days for the task. Another important aspect to consider is the human resources availability, for example, we have said that some phases can be done in parallel such as buying fixing bars, shelf and choosing height in the wall, but these can be done in parallel only if you can count on three different resources available, in case you are alone to complete the project the Gantt changes drastically. Phases become all consecutive. So, project critical path can be calculated according to tasks dependencies, but to determine task end dates it is necessary to identify the resources at your disposal and the correct duration of each phase. Only after analyzing these two aspects will you be able to handle project times by using a Gantt diagram and see a correct schedule. From this simple example it is clear that critical path analysis is not trivial, this method is particularly used for complex but predictable activities. In the real world, in fact, it is difficult to follow exactly the established plan, moreover, you can have external new requirements or constraints not considered at an early stage of planning. In our example, if you did not find the fixing bars in the store and you have to order them online you could introduce a delay that could reflect on the overall project’s duration, even if this phase was not in the critical path. Carefully monitor the steps on the critical path, but also the ones outside. Keep the availability of resources under control. That’s why, relying on a software that manages easy-to-update Gantt diagrams, it’s crucial to quickly add dependencies, as shown in the previous images, but also to include phases duration and calculate the end date automatically. An interactive Gantt diagram will also allows you to quickly re-schedule tasks. If you rely on a project management software such as Twproject, which includes, in addition to the interactive Gantt with critical path analysis, also a tool to monitor resources, you can easily manage the load to provide the flexibility you need to act promptly on any critical issues and finally have everything under control. What is a Gantt Chart? Why it can be useful to manage your project? If you have never heard of it, it’s important to know that Gantt diagram is a very versatile tool to visualize and track the timing and progress of a task. Its representation is very simple: it is a Cartesian diagram, on abscissa you find the time scale from the beginning to the end of the project, while in the ordinate there are all the activities to complete it. The planned time to perform a task is visually represented with a colored bar that runs from the start date to the end date of the task. Managing projects with Gantt diagrams allows you to see at a glance the set of activities to be performed, which have closer deadlines, which can be done at the same time, and the entire dependencies grid. They are universally used to plan and manage all types of jobs, from complex ones to simple personal ones, thanks to their immediate comprehension. Below we explain how you can use them to manage your work project. With the creation of the timeline, you and your team will have to highlight and break your project into phases and sub-phases. This brainstorming will help you classify the entire work plan more accurately, highlighting more clearly the deadlines, the dependencies between the various steps, and also which figures will complete the various tasks. This analysis is a key point in project planning and the Gantts will help you visualize it more clearly. The first step is to create a table within which you can enter phases and sub-phases. For simple projects, you can use a Excel spreadsheet, for the most complex ones, always in the interest of optimizing time and resources, you can use a project management software that allows you to quickly and easily set up various activities. Here there is a small example where we inserted project sub-phases, we also tried to identify each phase duration. As mentioned in the previous paragraph, once the phases and sub-phases are identified with their duration, it will be much easier to set milestones and their dependencies. Once you create these links you will be able to easily understand what impact can have a delayed task to a specific stage. Being aware of this information at the beginning of the project, exposing what is called “critical path” (the sequence of dependent tasks that determine the end date), will allow you to pay more attention during its course. Below we create dependencies between phases identifying the critical path. Identifying sub-phases will also help you figuring out which resources are going to accomplish them and so properly distribute your resource work load by improving human resource management. Establishing the timeline will help you manage your project optimally, balancing your entire workload and avoiding overloads that would affect your team’s operational capability. Project Gantt Diagrams, if created with a specific software, are dynamic and evolve as a result of completing the various activities. Thanks to this, you can constantly monitor job development by identifying progress and delays. These aspects are crucial for every project manager who seeks to manage the work and the team optimally. Gantt’s diagrams are, from this point of view, a powerful and immediately applicable tool. If you want to deepen your use by simple tests, by decomposing and analyzing your projects you can try Twproject for free, a comprehensive work management tool that includes an interactive tool for creating these diagrams. Once you’ve downloaded the demo, you can start creating your own charts right away by dividing the job at various stages, assigning them to your employees. Twproject interactive tool will graphically show you the sequence of activities you enter by updating them progressively. You can do all the tests you need and evaluate in depth the benefits this tool can bring to your work! Do you want to create your first Gantt? We know that, you are a project manager and you really need to close your tasks on time and on budget. Recently, increasing company’s culture has become important as well so now, to those two goals you have to add a third one: work with an happy and productive team. Work in a relaxed environment without any pressure, with shared methodologies and goals, has a positive impact on the entire company, you have experienced that for sure; although this concept is probably clear to everyone, it is not as easy to apply, often projects are overdue, people are overloaded, and the team is divided. How can you recover your team culture, achieve your goals without delay and, finally improve your resource management? Being a project manager you have to focus on sharing and communicating to improve your staff management. One of the main causes of delays in taskworks is the lack of communication. The goal of the project must be clear to everyone from the very beginning, desired end dates, and in general the whole planning. To improve resource management, it is essential that, in case of doubt, team can discuss together, prompting problems that would otherwise remain hidden until the end. The choices taken should not fall from above as unquestionable, but be proposed and discussed together. Likewise, if someone is in late, they must notify the group immediately, in this way, if the delay has an impact on the work of others, it can be managed immediately. Increasing communication in your work group will not be easy, you will have to start dedicating more time to your team and for this reason you will need to learn how to organize meeting efficiently, initially you might feel like taking away work’s’ time, but it is not like that! Start in the morning, get together with your colleagues and make a quick point of the situation: are we on time? Is someone in late and why? Can I help you? Once a month, make a more in-depth meeting, check that the project is getting according to initial requests and that everyone is happy and not overloaded. If a problem occurs, act immediately and do not leave your resources alone. To manage your staff, you often have to take responsibility for others’ mistakes, learn to tackle problems constructively without looking for scapegoats that can divide the team. To be a good leader you must instill confidence and trust to encourage your resources to become autonomous. Recent studies show that a resource, if she becomes more responsible for a project (or sub-phase), becomes more focused and increases her productivity, for this reason, it is therefore necessary, to improve your staff management to start a process of delegation and empowerment which must start from you. Share with the group your goals and the project planning but also delays or difficulties and act immediately where possible: in this way, you will always be aligned and will not regret unexpected delays and bottle necks. Schedule regular meetings to make a point on project progress, closely follow your team: thanks to a tight communication you will always be up-to-date on what’s going on, about the mood of your collaborators over the tasks. Delegate the work that resources can do autonomously and keep them involved: in this way, you will be able to focus more on the management work and their, being responsible for their stage will be more focused. Always check their load and balance as much as possible: try not to overwork the team too much, face the deadlines smoothly will allow them to work better. Use a project management software like Twproject to improve resource management, control the work assigned to your resources, their work-load, and track activities progress. This will give you a valid helper to reduce your load and will allow you to have an always up-to-date picture. Have you ever had the feeling that everything in your to-do list has maximum priority? If yes, which method do you use to identify what can be postponed? Being a project manager, you know that managing project timelines is crucial; with a correct and realistic plan you will be able to work better, and all your team as well, if organized, will give its best. There are several methods for improving work time management, each one focused on a different aspect of the problem: minimizing interruptions, identifying realistic deadlines, correct project planning, and organizing activities according to their importance. You have to find the method that best reflects your work strategy to maximize productivity. You think to have a high priority to-do list, but sometimes what is urgent can be confused with what is really important. Thanks to instant messaging systems such as Skype or Slack, working together with the team has become much easier, however, the number of interruptions has grown exponentially, with the result that you often receive urgencies that were not yours. The same e-mail, if used as a to-do list, introduces an incorrect concept of urgency, transmitting a sense of rush away from reality. The last mail always seems the most important. You need to learn to recognize what is really important, what is urgent and what can be postponed. The best moment to set and categorize your priorities is in the morning, as soon as you arrive at the office, even before checking your inbox. To determine if a to do is really important you need to make some considerations about its effort, its due date, and its cost. Properly planning your job will greatly help you improving work time management, when a project has a clear end date and your effort has been established, you will be able to define its importance more easily. How much is missing at the end of the project? How much time do I need to close this activity? Can I postpone it? Once the sequence of project activities has been established, you can analyze the urgencies by placing them in the list already created. In general, interruptions are perceived as urgencies and must therefore be minimized. If an urgency, interrupting your concentration on a specific activity, leads to waste resources and reduces your productivity, it must be postponed. It is therefore important to use some strategies to minimize interruptions, for example check mail only in the morning and after lunch or use tools that tell your colleagues that you can not be disturbed. If you cannot complete an activity within the established schedule without delaying the project, it is important to ask for help. Hiring a colleague with a lower workload can save the project from an undesirable delay. In general, whenever possible, it’s always a good idea to involve and delegate your team. In this case, controlling their workload is crucial, not to overburden those who already have a dense to-do list. A method that works very well is to analyze the list of priorities in a shared meeting so that you can balance tasks across all project resources. This improves the management of the entire team’s work time by maximizing productivity and improving team culture. Using an agile approach to project management, for example, greatly helps the entire team to work on the time allocation and distribution method. This method requires that the team meets regularly to analyze deadlines on a small and selected activity list. By dividing the entire project into recursive steps it will be easier to keep control. To organize your team’s activities, it can be of great help to use a tool that tracks your things to do and lets you set up priorities. Writing a list of activities on a paper is risky: every change requires effort and you can not show it to anyone who works with you in real time. If you rely on a software to manage your project timings, it will be easier to have a look at what to do and when, for yourself and for your team. For example, by entering a project with milestones, you will receive a notification when approaching, that will allow you to act promptly in case of delays, or by entering assignments to all resources, you can facilitate communication and swap activities, speeding up the process. Another advantage, planning your activities with an ad hoc tool, is to be able to control your colleagues’ workload by identifying who is less committed, as well as having a history of how much they spent dealing with certain activities for an increasingly precise and realistic organization. Share your tasks with your team by optimizing time: learn to balance work within your team, count on your colleague and delegate. Use a project management software to maximize productivity: rely on a tool that can help you checking your ordered to-do list, keeping you focused on what has to be done. If you want to learn more about how a project management software can help you, download Twproject and begin to improve your organization right away. Want to know more about Twproject? Most of project managers have to face projects whose planning was done incorrectly, not in line with customer expectations, with the bad result of big delays and budget overflows, and maybe this has happened to you too. It is true, companies are being renewed, working groups are heterogeneous and distributed, increasingly flexible, and often, this flexibility forces the project managers to review their processes in order to make them more flexible too. Agile methodologies is the perfect response to this need. In the 1990’s, there was a significant deviation of the projects from planning and, above all, customer requirements, particularly in the software development sector that used the standard waterfall approach. Now, as then, companies plan and evaluate the project according to the requirements initially established by making only one final product release that could leads to misunderstandings. The project, so managed, often ends late and out of budget. Agile methods, such as SCRUM, arise from the need to move the project from the planned and contracted part to bring it closer to the client, its needs and satisfaction throughout the entire development process. A company that decides to use this framework is able to minimize the risks by keeping track of the progress of the project cyclically. By involving the team and the customer throughout the process, it is much easier to stay aligned with planning and stay in times and budget. What is the SCRUM methodology? It is the most famous of the agile techniques, it is a framework, a set of procedures, for the iterative management of the development process from a default set of tasks. It is based on the idea of refining, iteration after iteration, the initial idea of the customer, according to what is released from time to time and to his feedback. At the beginning of the project we defined a task list (backlog), then, cyclically, we select a prioritized subset executable in about 1-2 weeks (sprint), tasks are completed and at the end of the sprint is submitted to the client for the test. Each sprint includes meetings for prioritizing activities, sharing work progress, and a final one for review and analysis. These cycles are repeated until the end of all activities. The aim of the SCRUM methodology is to have no misunderstanding, so that the customer can work with the team cyclically to guide the product in the right direction without any unpleasant surprises at the end of the project. Thus, there may be not a final release date, the project closes when the activity list is empty and the customer is satisfied. This framework also facilitates the estimation of the project, in fact it does not require a complete and total estimate, just a cyclical estimate that protects both the customer and the company from incorrect estimates: if the customer has a limited budget will be limited his list of activities, if the customer has infinite budgets, he can refine and add activities until project completion in agreement with the company. Why should I use an Agile Methodology? Although the SCRUM methodology has born in the field of software development, it can be of help to many companies, not only by getting into it but by embracing the general philosophy. 1) Define a list of requirements / activities / desires with the customer as detailed as possible: this will help you estimate your project’s effort, make the client aware of any critical issues and protect you from any extra requests. 2) Prioritize the activities and estimate them with your team: this habit can be of great help in carrying out the project, involving the team in estimating, it will be involved and empowered, obtaining from them accurate information that resides only in the knowledge of the technicians. Not only that, the team that prioritizes activities, in fact manages its own workload and becomes more aware of it. Involving the team is the most effective strategy to estimate projects. 3) Organize management in production iterations: whether the customer interacts or the cycles are internal to the company, organizing productions into iterations forces each team to make the point of the situation on regular basis, immediately recognizing any deviations from the expectation avoiding useless delay. 4) Daily meetings for work progress: this activity, often underestimated, is in fact crucial. Updating the team on the progress of their work allows them to share more stressful moments and to help with delays by saving the project from bottlenecks. The list of benefits that you may have by approaching agile methods are numerous, whether you follow the letter, or just apply the philosophy. The system cyclicity will allow you to improve over time, understanding with your workgroup what works and what does not. If you decide to use a project management software that supports this technique, organizing your work better will be even easier, a software like Twproject, can guide you in improving internal processes giving you back control on your projects. Estimate projects correctly is a difficult task that every project manager has to face. It doesn’t matter if you estimate in order to evaluate resource work load (time/effort estimation) or just to create customers’ offer (cost estimation), the problem is just the same. How can I predict exceptions, delay, bottle necks and create an estimate that is as close to reality as possible? The answer is quite simple, you can, if you count on your team. Underestimated projects: this is what happens the most, particularly when project managers have direct contact with customers, if you want read more about why underestimation is so common you should read this article. Robert works for a small company where he is a project manager and also the commercial director. He knows that his team is doing its best but he doesn’t want to lose any new customers opportunity. For this reason he underestimates his projects, trying to convince the team that every new customer can make the difference for a small company like theirs. Doing this, the quality of the product decreases, the team is overloaded and the project manager completely loses the correct perception of the project cost. Robert knows that his company will suffer of high turn over. 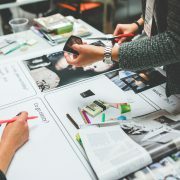 Overestimated projects: Project managers more connected with the team tend instead to a pessimistic estimation of the project. John is a project manager and lead architect of a young software house. Every time a new projects begin he speaks to his team to make the correct estimation of tasks. Being near to his colleagues he knows how many problem they face and he prefers to overestimate his projects. Resources look over planned and the commercial department can lose opportunities for this lack of communication. At the end of the year John knows that his team could have released more products with a correct estimation. Being a project manager with estimating problem you have probably found yourself in one of the two described above, maybe with different circumstances but probably with the same outcome. Of course a correct project estimation can fix all these problems, correct scheduling, resources’ workload. So, how can we improve it? Being a project manager, maybe a senior one, your management skills are probably very refined, you know the effort for managing a team conflict, you probably know how to calculate the revenue of your task, but what about developing that specific product requirements? The project manager is able to identify all the phases of the project structure, but who better knows how does it take to accomplish a specific phase than the resource working on it? The key for a correct project estimation is in your team knowledge. Nicole is a project manager at ACME spa. She works with a smart and diversified team. Every time she is assigned to a new project and she has to estimate it she organizes a meeting with her team to develop the Gantt of the projects. Nicole sets the milestones if she has some and tries to define the end date of the project. She identifies the best resources for the work and then she asks them a refined schedule and estimation of their small portion of work. No one knows better than Giulia how effort it takes to make a perfect email layout. Nicole asks also to her colleague which problems she encounters the most and with which delay. Nicole asks to her team members to become everyone the project manager of his own specific tasks. The knowledge of the team is very precise and very close to every specific matter, they know most of the possible exceptions, every possible delay, every bottle neck on their specific phase. To have a complete and precise estimation you have to go deeper with your team and analyze with them all the phases, let them estimate their phases like they would be the project managers, delegate. This approach will help you improve your resource management in general. Also, if you work on projects that can repeat in time you could ask your team to specify every step of the work with its effort. This to-do lists could be used as a template in time, to avoid loosing time estimating the same things again and again. Save your team knowledge is the key to estimate projects correctly. It is what you can use to make comparison and learn in time estimating even better. Using this strategy you could be able to have a better idea of the effort of the project and every possible exception that can occur. Let the team write down every step of their phase to estimate it. Using this strategy with a project management software that can help you creating a Gantt chart, assigning your resources, checking their workload could really make the difference, estimate projects will become easier. If you want to learn more about how to introduce a project management software in you company you can read our article. This post gives me the idea to write a new one explaining how to use Twproject with Agile methodologies and, following the Miller’s post, how a SEO & Digital Marketing Team can use it. Scrum: What is it and why with Twproject? How it is well explained in the post, the Scrum methodology is a project management approach helping small teams, and in particular software development ones, releasing products in an incremental and iterative development. This approach defines a flexible and cohesive environment where a team can develop a product as a unit, self-organized, with common goals. A Scrum team usually consists of several people, with specific roles, that, starting from a project with a well defined list of features (“the backlog”) , works together in short time cycles, on prioritized sub-sets of features (“sprints”). Team communication is encouraged with daily scrum meetings and a retrospective meeting at the end of each sprint. Even if Twproject works fine, both with Waterfall and Agile methodologies, the second approach meets perfectly the idea behind our software. Encouraging team communication, self organization and a more practical approach to what needs to be done, saving time and energy, are just some of the key ideas of Twproject. Product Owner, Scrum Master and Team member, these are the specific scrum roles that you find already loaded in Twproject, and this will be the only roles required for managing your Scrum project, I refer to the post at the top for roles definition and usage. You can activate these roles from the Twproject admin page -> New area creation wizard -> Create an area with SCRUM specific roles. Once the scrum area has been activated, in the project section, you will find a new “create scrum” button. Thanks to this functionality you will create your scrum project in minutes, just selecting your team members, the system will create the project assigning the correct resources with the chosen roles. Once the project is created and all your team is assigned with the correct role you have to insert the backlog. This can be done easily with Twproject using issues. An issue in Twproject is a task activity, a to-do, a ticket, a backlog item, something that needs to be done in a specific task. Twproject backlog issues can be prioritized, ordered, and have customizable status (open, in test, working, closed, is up to you), a time estimation and a due date. Managing your backlog with Twproject is very practical thanks to the Kanban tool that lets you visualize your items by priority, by status, assignee and so on. Thanks to the Kanban you can see the status of the work, what is assigned to who, checking with a click all the progress your team is making. Once the backlog is created you can create your first sprint. The sprint creation includes also the set up of an agenda event for all the team members for the stand up meeting. Once your sprint is created is time to work. The team members will see in their dashboard all their items with priorities. Team members can communicate with a dedicated forum, working together to get things done. At the end of the sprint, you can create a new agenda event, starting from the project work group to analyze what has been done, what you can improve, and how to go further. This procedure will be repeated until you finish all the backlog and your project is closed. Twproject includes also a set of reports that you can use to control your product developments, one of them is the burn down graph, a specific chart showing how the team is performing. As Marcus Miller pointed out in his post “No matter how efficient we become, the work still has to be done”: no matter how a software can help you managing the project, you still have to do the job, that’s true, but we really hope that our tool can make your life easier. I think that one of the best features of the Scrum methodology is that it is meant to be improved on the go, you do not actually need to be a master to start organizing your work, you can refine from sprint to sprint. Using Twproject you can start immediately and without effort using this methodology and test if it works for your company too. I suggest you to read the post of Marcus Miller that explains in a very intuitive way how this methodology works and how to introduce it in your team. The post is focused also on how to use this methodology in a SEO and digital marketing company, but, as you can imagine this approach can be used in every fields, try it out and contact us if you have questions! One of the biggest challenges, a project manager can face in a new team, is to change things for the better and let this changes take effect without the resistance of the team. One of the most frequent examples is when a project manager decides to introduce a new tool for project management. This moment of change, even if it is felt like very stressful, is actually a great opportunity for a company to improve its strategy and organizations. So, what if you are that project manager? What if you really want to change things in your company organization with a new project management software? Which are the main reasons that bring me to search for a project management tool? Which are the key features of the tool I chose? Once you have your goals in mind be realistic and set some small achievements for your near future. Having realistic expectations is very important, actually it is a key point, if you expect to achieve unrealistic goals you will immediately face a sense of fail in your team, and this will bring the software to fail. At the same time, if you do not communicate your expectations, no one will understand how much helpful will be this change and they will abandon the software. No one said it was easy…. Team communications, change is for the better.. The other key point about introducing a new software in a company, is to let everyone know, that this will actually help everyone working better, not just the project manager. This, in some cases, is very difficult. If you are the project manager of a cohesive team, maybe this will not affect you, but now I’m talking to all those pm, having a big team to manage, maybe a distributed one, with several people working in different ways. So, how to let them feel that changes are for the better? It is not a software to control who is working and who is not. It seems a bad thing to say, but most of the time, these kind of software are felt like tools to control. They are not and you have to tell them clearly. It doesn’t matter if in the future you will get amazing reports of all worked hours, or if, thanks to the software, you will be able to see who is overloaded. The reason for changing is not to control, or at least it shouldn’t be ;-). Be your own pm and organize your work better. Once the project manager has created the structure of the task, with dependencies and time frames all the team will be able to check their priorities, organize their to dos and manage their work in autonomy. If you, as pm, are able to let them understand the utility of this new responsibility you will have them on board. These are just two examples of what you can point out to your team to let them know how helpful can be a project management software, let them know that is a tool for the whole team. When the software is well introduced you will start inserting projects charts, assigning your resources with estimation and hourly costs. Thanks to this, and having your team inserting worklog you will be able to see your resources workload, control tasks progress and check costs, all data updated in real time. If you start using a shared agenda, you will be able to share appointments and create meeting easily according to task work-groups. check unavailability and the same connection will be created to easily share documents. 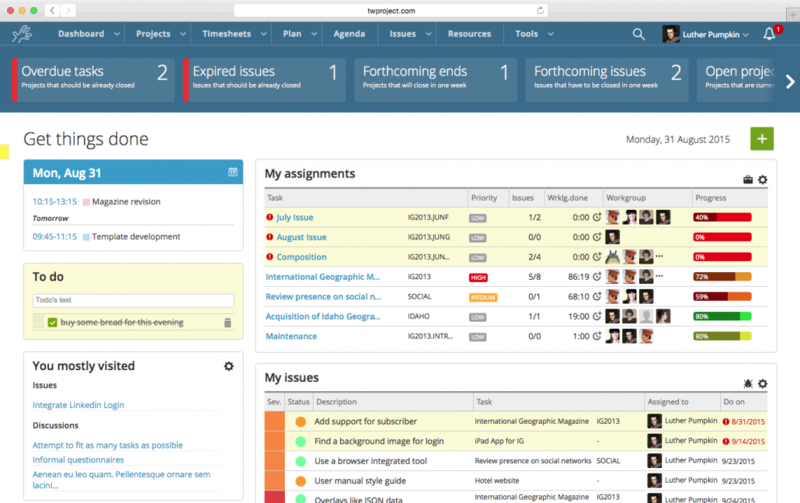 Read more here about managing distributed team agendas. When a pm software is introduced, it can give you also the possibility to track to-do lists connected to projects. This is a very useful way for all users to organize, prioritize their work, finally they will stop using notes on the desk and no ideas or messages will be lost. If you feel that your team needs a more structured way to work, it is probably time to introduce a project management software. Yes, it will be a big change but you can really get results if you follow our strategy. Our software, Twproject, can really give all the results mentioned above, all those features in one software only. Introduce your team to Twproject. Do meditate and don’t stay up all night – this is good suggestion in general. To be more productive and yet creative, studies show that you have to rest at least 6 hours per night. In addition to this, learning to meditate, can teach you the art of patience and to avoid to much stress accumulation. Do be a sponge and don’t wait for inspiration – project management methodologies are there to try them out and find the best one fitting your projects. Agile methodology, waterfall, GTD, these are just few examples of methodologies to experiment. Try to be open minded to new strategy and learn to walk on unknown paths, teams are generally positive to a more structured organization that let them feel more secure and followed. If you are facing problems managing your projects and checking their progress you can use a project management software like Twproject that lets you work in different ways according to your needs. Do trust yourself and don’t go it alone – even if you are the project manager do not forget about your team opinion. Trust yourself ideas and creativity but ask for their opinion too before going forward with an important decision. If a choice will fall back on your team too, it will be easier if they participated to the final decision. This will reinforce your team culture. Do pay attention and don’t pass judgement – projects, from start to end are like a big creativity process, that requires your attention constantly. In this sense, you need to pay attention to everything happening in your company, if there is a problem that can impact on your projects too you have to operate immediately even in a creative way. Never stop analizing your delay and their causes because they may happen again, and a deep study can help you facing them in the future. Do say “Yes, and…” and don’t say “That never works” – Do push back and don’t argue – here we are talking about team building, because you can’t be an innovative project manager if you do not have an innovative team and a team can perform its best if everyone is free to express his opinion, and you , as projects manager, have to learn to listen to them, even if you do not agree. To have the most innovative team you have to look outside of the box. Even if I’ve worked with Twproject for several years I get surprised every day by its number of hidden features. The one that I show you today could really help you, if, for example, you cannot access the application and you have to create a task to save information that you can loose otherwise. Twproject is able to create a task, with document attached and assignments simply reading an email written in a specific yet simple defined format. A complete redesigned user interface and functionality for Twproject mobile app. This email will create a task with name “Twproject Mobile Release 3.0” and code “TW_MOB3.0”. As you can imagine this task will start on the eight of November and it will end in the middle of March. All the text of the message will be saved inside the description, and last but not least, in case you attach documents to this e-mail, those will be saved as document in the task. Twproject security model works also in this case, the sender e-mail, in fact, needs to be related to a user with task create permission. Is that simple, isn’t it? You can even create a template of your message that you can use to compose it in seconds! These days, companies has to face an ever growing need for dynamic teams, shared groups of people working together through the internet. This need increases hand by hand with the difficulty of managing team dynamics and project updates. For this reason, using conventional software like Microsoft project, built for managing projects in their best case scenario with clearly identified teams, could not fit the needs. Big companies, and small ones too, with a high number of projects can see their number of teams increase accordingly, and when I say team I mean people that are actually working on the project. Even if your company has just seven colleagues like ours, and you have one team working on several different projects, you can face the same problem: a meeting for a project, a meting for another, uncounted e-mails refer to a projects, many refer to another, what a mess! For this reason we cannot underestimate this trend and we better try to manage it. Actively work on a project often involves sending tons of e-mail to keep everyone updated on what is going on, share documents and information about progress and commitment, schedule meeting with customers and colleagues, share the list of to-dos to get the project done. This continuous flow of information assumes that you have always in mind all those who compose a specific team. How many of you spend more than a minute checking the list of attendees to be sure that everyone has been added? What if someone is forgotten? Distributed Teams – Somebody Help! It’s clear now that we need something helping us managing distributed teams. But what if I told you that the solution is at one step distance? Dynamic teams are implicitly defined by your projects. No one knows better, who is involved, than project management software. Node by node, different people could be assigned and different information could be shared. Simply looking at the team from the project’s point of view, you will see the work-group changing. This simple yet effective idea, let you start from the point of view of your project: when you have an information to share you just need to focus on which is the specific project related, your team is already there! Just open you projects management software, your changing teams are saved there! If you have not introduced a project management software in your company you can try Twproject that solves this problem with a suite of functionalities that starts exactly by the work group created on a project. Finally we will have the distributed teams problem solved and nobody will be forgotten. Even if every company has its own peculiarity, we find, in our experience, that company with same business share also the same internal processes. This is probably the reason why, often, our customers, ask us for project’s template that they can import and adjust in their own Twproject instance. This helps them starting with Twproject easily, refining processes on the go. We got then the idea to share all these templates in a series of blog posts where you will find the template file free to download. Today we create a typical software development project template. Software, but also a different kind of product. We created this with one of our customers that has lunched its product on kickstarter, of course, we simplify the project, removing all tasks specific for its project. This project is a great example, in fact, we recognize in it, all the common phases and dependencies of a software development project. It could work for our software house too. Of course, once imported, you can change it to best fit your company’ production process. The first step of the project is to analyze competitors and collect ideas and requirements. This steps for example could be different if the software is owned by your company or if it is created for a specific customers, in this second case you will probably skip competitor’s analysis to focus on collecting requirements from your customer. Second step is “development”, in this case we are talking about a web application, but it could work for a mobile app too. Testing phase is not included but you could add if it is done internally instead of by your customer. Last but not least we have documentation and the marketing Phase, which starts immediately and maybe before the beta launch. The structure of the development phase is probably the most variable, for example you could have a series of beta releases instead of one, you could have internal testing and also a customer approval step. This are just some ideas of this project possible changes. Download the file below and open your Twproject instance. In the project list page there is a button with two arrows that will open a menu with the import functionality. In Twproject every project could be a template for creating a new one. The copy function, in fact, is available in every project details page. The best part, is that you can create really complex projects with a click but, at the same time, you can decide to copy/clone only small part of a single project, and re-use it in the same project or in a brand new one. Its up to you. Our file is a complex project that you can just import and transform in your own template, adjust names, task duration and you are ready to go. Ignore start date and task status, because your project will be relocated in time once you copy it. If you created your own template in Twproject and you want to share it with us you can send them at info@twproject.com! Our template can be exported in MPX format too, if you want it you can send us an email at info@twproject.com. Global research and studies have pointed out some great new data in order to help us understanding what prevent us to be productive. We have recently found 4 interesting info graphic that you really need to check. Nothing about procrastination or interruptions, these 4 info graphic, with a touch of irony, show us something new. We have talked about productivity enemies several times: multitasking, interruptions, notifications, procrastination, these, and many other reasons, force you working by breaks, reducing hugely your productivity. A recent study pointed also out that time management systems, focused only on tracking minutes, can reduced it even more. This is one of the reason that convinced us to create a software focused on helping people working better instead of simply tracking data. Why getting things done is so hard, if we are always so busy? Of curse it’s a matter of how we manage our time across projects and in particular our energy. Are we focusing on the right tasks? Check here how Twproject can help you work better. The study brought to us by the first info graphic told us that in the past few years the number of cases of work related stress, depression and anxiety are grown, and that 60% of British employee (probably not only in Britain) work beyond their contract hours, that said, the importance of breaks is grown as well. Successful people recognize the need to dedicate time to what is really important and fun and tell us how they manage their week-ends. Nothing surprising, it is just interesting to understand how important it is, for your productivity, to dedicate time to yourself and to what makes you happy. First info graphic from Make It Cheaper. Second info graphic from Lifehack. Staying productive is the hardest and compelling task for all employees: be focused at your desk closing task for all day long. It isn’t simple. Isn’t it? Productivity is a famous topic, covered in hundreds and hundreds of posts, most of them giving a lot of interesting hints to keep up a high energy level at work. However, in my experience, I’ve found that most of them are not effective, and useless in time, if you work in a non productive environment. It means that all your effort could be useless and tiring if for example you work in an intrusive and interrupting office, on a uncomfortable chair, or on a completely messed desk. It could be obvious but it isn’t, and what if your tasks are boring or extremely difficult? Those require even more effort. First step: Get your place clean. A new study from the Florida State University suggests that inadequate amount of stimulation in the workplace and an unclean working environment can both affect your brain functions on the long run. First thing in the morning clean your desk from all the old papers collected the day before and reorganize your docs. This works great for me because I’m quite a messy person and, at the end of the day, I leave my desk cluttered. Second step: remove all distractions around you. This is the most famous suggestion for staying productive: reduce work noise like emails, cell buzzing and colleague chatting. I’ve found that this is probably the hardest one, because all of us, right now, are probably working on tasks but also with emails, in a team, having clients calling on your phone. I solve this issue creating dedicated time slots, I check my email first thing first after cleaning my desk from old papers and first thing first after lunch. Once done I close it and never check it again until the next slot. I do the same with my phone, it remains turned off until its dedicated time slot. All the others unpredictable interruptions, unfortunately, cannot be manged. I found really useful to record how much time these interruptions stole to my work, this helps me identifying which is the one that really needs to be avoided. Third step: Create an organized to do list. Once you have answered your emails and your phone messages it’s time to work on your real task. Having them organized is very useful. I found really helpful to use a sortable list of to-dos, organized by tasks. In my experience priorities can change day by day and checking this list every morning, sorting to-dos, and in the evening, closing things done is really encouraging. If you like to work with this approach I suggest you to take a look at our project management software Twproject, you will love it. Fourth step: Stay healthy, hydrate yourself and take a break every 25 minutes. These are generic suggestions, but, taking care of yourself will positively influence your life, even at work. Check that your chair is comfortable, take a break every 25 minutes, drink and check your posture. Take a look at the Pomodoro technique to boost your productivity: 25 minutes of focused work and 5 minutes break. To get the best from this technique involve your team and try to follow all the same path in order to be on board and do not interfere with others timers. Last step: At the end of the day turn it off. Try to avoid homework and leave work stress inside the office. A good night of sleep is the secret of all the most successful people. A very interesting article from the Harvard University pointed out a list of suggestions and examples of why you need to get a good night of sleep to be more productive at work and happy in your life. So these are 5 essential aspects of your habits that you need to check and maybe adjust to be more productive. I’m trying myself all of them with encouraging results. Follow us on our social networks for other tips and tricks to get the best out of your work life, and send us your impressions and your experience in boosting productivity, it would be great to hear from you. Procrastination is one of the biggest weakness of nowadays, the worst person you could hire in your company is the procrastinator: not the one unable of working in team, not the one unable to make the right decision, not the one unable of organize his own work, just the procrastinator. Just reading these few first lines you can understand how much attention has been given to this word, probably without a real reason. Being a procrastinator could be a problem in a work environment but there are several ways to get it for the better. This explanation could sound really familiar, probably it has happened to all of us to procrastinate something important that was felt as unpleasant or really boring, but what if you end up procrastinating day by day all your most important task? The main reason of procrastinating is well explained in this post of Blake Thorne, I really suggest you to read it. What I really love of this post was that at the end it comes with a very intuitive way to start beating your procrastination problem, a very simple approach to the problem, just ask yourself: is this task really important or you could just delete it? Blake Thorne create list of few questions that you should answer about your task to know if it just can be avoided. In case you can do that, simply removing the task from the list, you are done. Otherwise you may have founded the value of the task you are working one having the right boost to start working on it. But what if that task is really boring and useless but needs to be done? How many times our boss give us a task that is pretty hard to close but with a very high priority? sometimes procrastination seems the only way out because you are overwhelmed buy a problem that seems to complex to be solved, well, dividing it into smaller tasks will help you defining the problem itself and identify which are the key point that really get you annoyed, if you identify these points you can even ask for someone help to complete them and get your big project done. The second step, once you have divided the big task in smaller ones, is just to prioritize them. This is another trick to identify those points that give you anxiety, in fact you will probably put them at the end of the list. Once you get those, you can even start with point one again, dividing them into even smaller tasks, the smaller you get the better. This is a very interesting aspect, that I always use when I have to face big problems that I would really love to procrastinate. Think about your future you once the work will be done, so relieved, so proud of himself, this should give you the right mood to start that awful task, and even if you are not able to do that be kind with yourself, always remember to ask the help of your colleague for a task that you can’t accomplish, this is the meaning of teamwork. Try to avoid interruption as much as you can, if you are finally able to start working on your hard task being interrupted will put you again in the state of start. Every time you close one of these tasks be proud of yourself and take a moment to taste your success, be proud of yourself and keep this mood to close all your next tasks. When a company feels the need of introducing a project management software is probably because a deep change is happening. Time of changing introduce a feeling of uncertainty that often terrifying people. It is instead usually a great opportunity for a company to grow and improve methodologies and results. When your work is well organized, working is easier and people are happier. For this reason introducing a software for managing projects could be hard at an early stage but a great success once accepted and used by all the team. We have been providing bootcamps for 10 years in order to help companies reducing the learning period, ensuring all teams that, having everything organized, will improve the life of all of them. Twproject bootcamp is the opportunity to sit all around a table and simply discuss about how to work better, there are not so many opportunities for doing that right? This is exactly what we do and why we call it internally the company’s therapy 🙂 And we all need it because working better is chance we can’t waste. When a team is all together a lot of hidden problems come to light and finally discussed and resolved, around Twproject’s bootcamp table every opinion counts and have to be discussed. Even if every company has its own procedures an habits, problems are always very similar, a lot of resources overloaded that are not able to prove how many open tasks they have, project managers that do not have the right feeling about project progress, teams that are disconnected and use different tools for managing their work…. These are just an example of all phrases we heard in our experience, and we can ensure you that they are very often the same. Bad habits are very similar, even in very different companies, but introducing a Project management software is the correct path to face them once and for all. Our bootcamp are the best opportunity to put all your doubts and problems on the table, discuss them and solve them. Mapping companies’ habits into the software is the easiest part of the meeting, facing problems is the hardest part but also the most interesting and inspiring one. If you think that this change can happen without effort you got wrong, changing bad habits is a hard work to do and for this reason you have to start with a step by step plan. Set your goals, choose how you would like to work, which data you would like to collect, and work together with your team to meet those goals. Discuss your goals, why did you choose to start using a project management software? Which is the immediate problem you want to solve? Time for facing problems, let’s design some different internal projects, how we can improve the way you work? Map the projects into the software, the happiness of having everything in one place only. This is of course just an example of our boot camp’s road map, we never know the way it goes, the only thing we know for sure is that no matter how hard the transition is, it’s always worth. Read more about Twproject bbotcamps. If your desk and your monitor are full of notes and reminders it is clearly time to do something about it. There is a better way to collect your notes and to-dos and it’s called Twproject. What? You are a wife/mother too? But we are here to help you, with Twproject you can finally remove all those papers from your desk and start being organized…yes, including the ‘buy the milk’ one. In Twproject there is a specific place to collect your annotations, your thoughts, your to-dos and reminders, and the best part is that you can associate them to specific projects, to filter them, organize and prioritize them. Finally the due date will be visible and you will be notified for the approaching ones. No need to cover your monitor with the most urgent one, Twproject will do the job. Twproject is a project management software that is useful not just for creating Gantt charts and project plans but for managing your everyday work too. We have finally won the battle against paper, and we know that you will agree with us once you will start using it. No more notes on your desk with Twproject, just a dashboard with all the information you need for closing your tasks, staying organized. And there is so much more than this, communication with your colleague will be easier too. Sharing information and thoughts about tasks, comments, messages, everything in one place. Work meetings can be stressful and often perceived as a waste of time for your whole team. Finding the best moment, coming with a clear idea of the meeting purpose, taking important decisions, define a project’ plan and all designated resources: all these points can decide if your meeting will be a complete failure or a success. If you are about to schedule one with your team, you’d better pay attention to these 5 secrets to improve your meeting in order to get a happy and effective talk. Use a project management software with shared agendas Finding the best moment to schedule a meeting is very important. It could be obvious, but it is not just a matter of finding a day when the team is available, it’s about finding a day when none of your colleagues have important deadlines, scheduled appointments or high priority tasks to close. Having a software that lets you check all of these will help you having a focused team. Before the meeting create an ideas board If you have to manage with important matter, it will be really helpful having an idea of your colleagues’ thoughts before the meeting. You can use this to understand which of your colleagues share your ideas. An ideas board is also very helpful in order to give to all your team the possibility to share their opinion, even to those not so familiar with meetings’ animated discussions. Listen to all points of view and understand them Having an open mind is really helpful during meetings. You have to be open also to those that will probably tell you that your ideas are not so brilliant, remember that your goal is to finish the meeting with taken decisions and a plan of what to do next. Use a draft manager software Write down everything said. The draft management is very important to remember all decisions that have been taken and all discussions leading to them. With a draft in your hand you will be able to easily detect which are the key points for your team and why. Transform decisions to a real plan Once everything is decided you will need to define a project plan, so use some time of your meeting for a recap, read the draft in details and create a to do list, you can use a project management software for this purpose too, assign these to-dos to your team and schedule deadlines. Effective meeting are difficult to achieve, generally because you are taking away resources from their “real” projects. Organizing it properly, involving all team members in the decision process and transforming discussions in thing to do will incredibly improve your team culture. Try Twproject to manage your meeting.